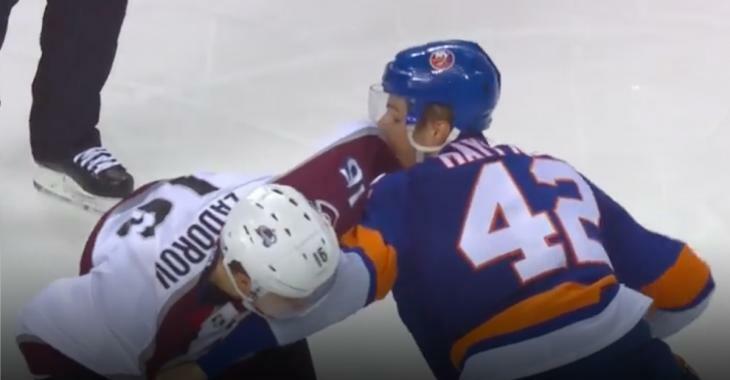 Last night’s showdown between the Colorado Avalanche and New York Islanders didn’t sure didn’t lack in excitement. First there was the first period announcement that Avs forward Colorado Avalanche Matt Duchene had been traded mid-game, then there was a five point performance from Isles rookie Matthew Barzal. A good, old fashioned heavyweight tilt. The NHL used to be full of them, now it’s rare that we get to see the big boys go toe-to-toe. While there are some real bombs landed, the scrap is even for the most part. We call it a draw, what’s your call?